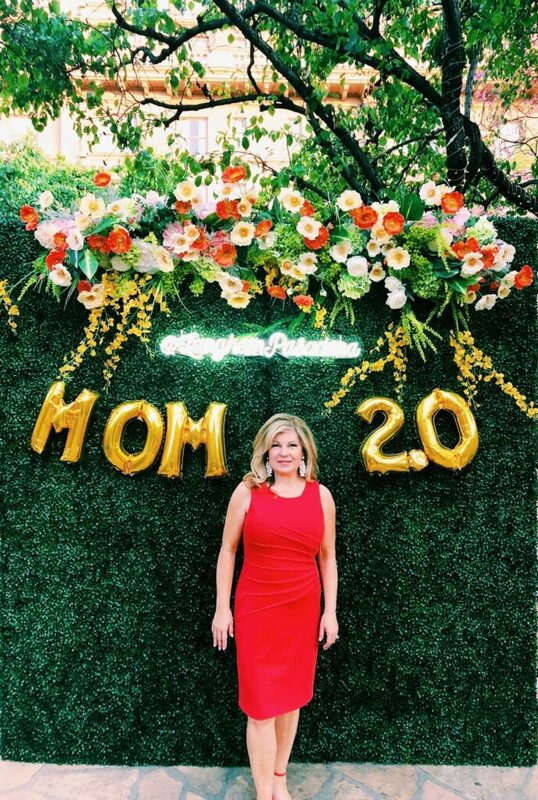 I’m embracing life as an empty nester and sharing my helpful tips. Now is the time to reinvent yourself and your relationships! This is a sponsored post from VSP Individual Vision Plans. All opinions are 100% my own. I admit that living in an empty nest was uncomfortable at first. I wasn’t prepared for how quiet the house would be. And I didn’t realize how oddly free my time would feel. Suddenly, I had time to just focus on my husband and me. When you spend a few decades as a parent and your identity has been as being someone’s mother, this new life stage is unfamiliar. It can be sad, scary and exciting. I’ll admit that I have experienced all three emotions. You may think it is silly, but I still miss the back to school hoopla. When my daughter left for college, just the sight of little ones getting on a school bus would make me cry. 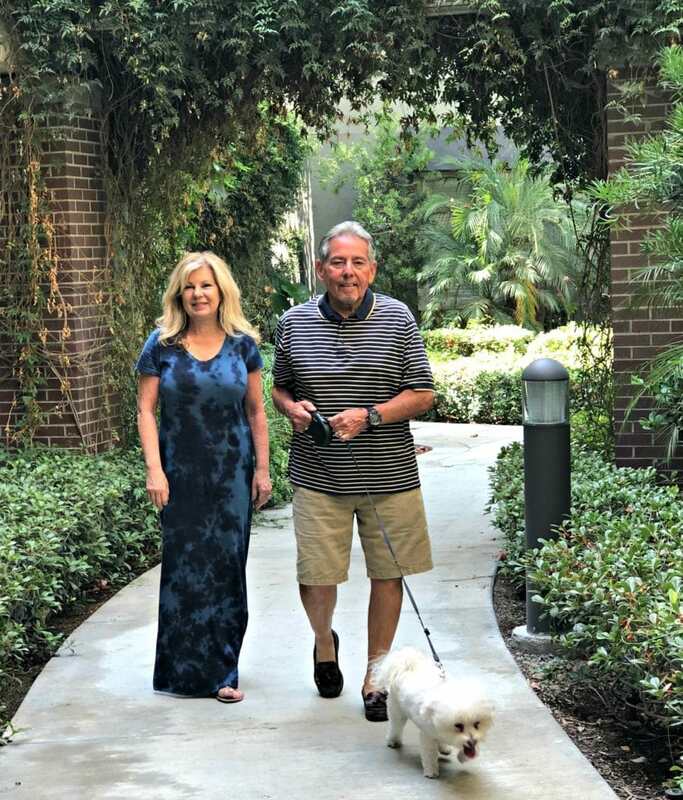 I’m going to share with you eight helpful empty nest tips that I’ve learned along the way. I hope my experience will help you out too– whether you are a new empty nester or well into your journey. 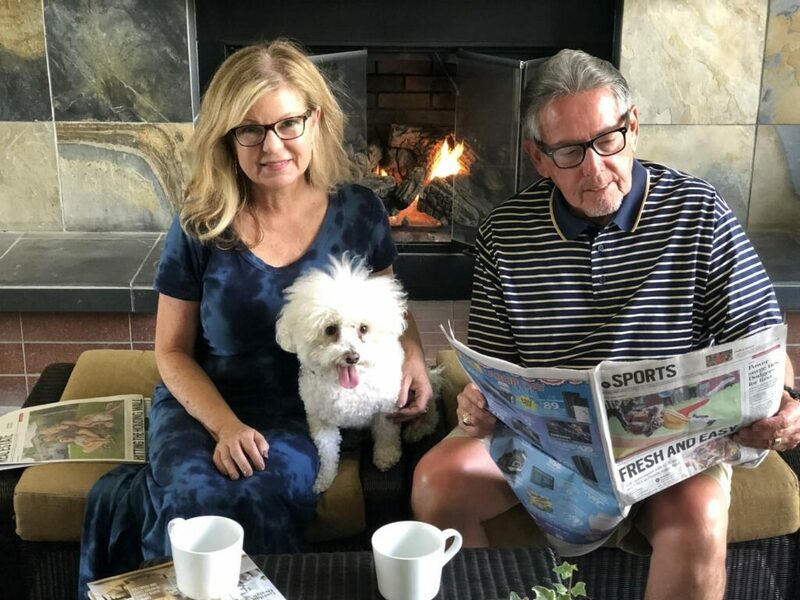 One of the best things we did as empty nesters was to adopt our little Buddy from a Maltese Rescue Group. Now our home is a busier and happier place! Buddy fills our home with love and laughter. When we are away, we miss him so much and we are no longer coming home to an empty house. I’ve often said that Buddy is the dog who rescued me. Now my husband and I know all the other dog owners in our neighborhood because Buddy is Mr. Social. Life is better with a rescue pet! Buddy is my constant companion as I work at home. He will jump in my lap and nudge my arm, wanting to go outside. He helps me to break up my day and get outside for some fresh air. I recommend adopting a dog from your local pet rescue or shelter. When you adopt from a rescue group, they can match the dog’s personality with yours. Typically, the dogs have spent time in a home environment being cared for and evaluated and the rescue group will do their best to make a successful love connection. Keep Your Sense of Humor – Laugh a Lot! 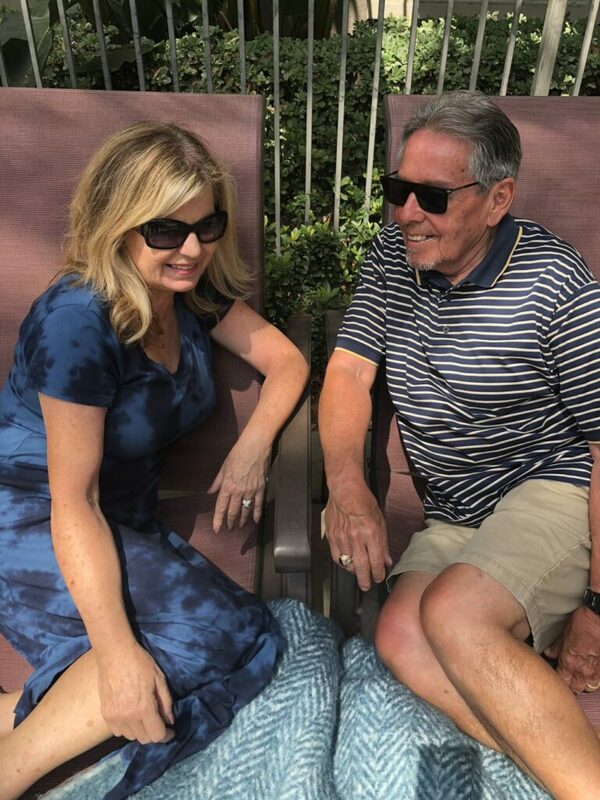 Keeping your sense of humor is even more important as you reinvent your life together as empty nesters. And honestly, there is so much to laugh about when it comes to getting older! I would like to think that we are more grateful and less likely to get upset about insignificant things too. Now that you have more time, try to go out together at least once a month. We take turns picking places the other person will like. It can be as simple as a favorite restaurant or a movie night. In the beginning, it was a bit awkward when we did not have the day-to-day activities of the kids to discuss. We had to work at getting back to the basics of who we were as a couple BK (before kids). I would like to think that we have grown closer together as we navigate this life stage. Getting out of the house for a date takes some effort but it makes spending meaningful time together more intentional. 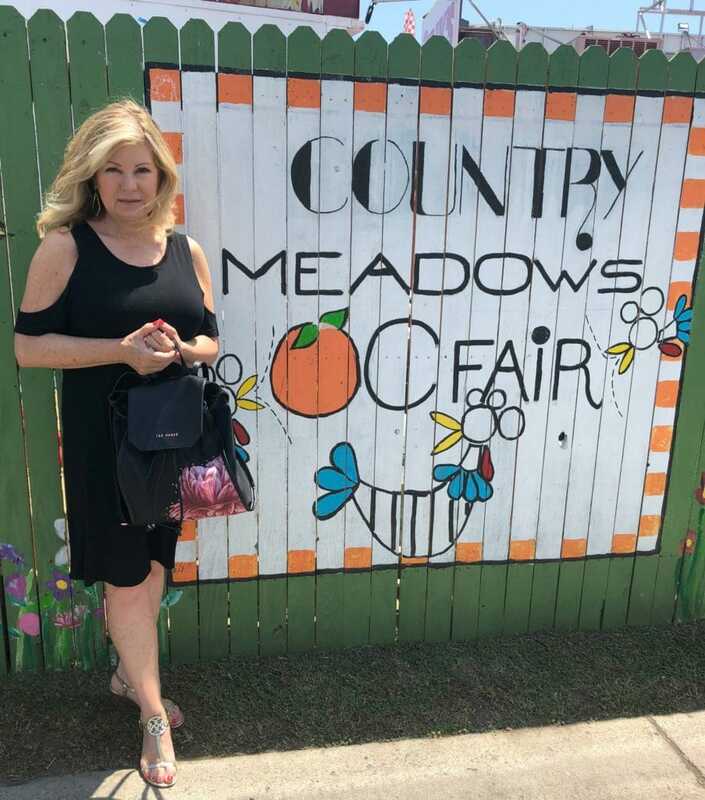 Last month we went to the Orange County Fair, which is one of my favorite summer traditions. We had a great time enjoying the fair as a couple, instead of as parents. Now we can make choices based on our interests. It was different, yet fun! Now that you have more time, reconnect with friends. I’ve known my two besties since our kids were small. They love me unconditionally and I love them as much. When my daughter was getting engaged and planning her wedding, there were some conversations that I could only have with my trusted confidants. They were both like my maids of honor. They helped me navigate a few minefields and I am looking forward to doing the same for them. One of my girlfriends and I get together to walk for an hour at least three times a week. It provides a healthy outlet for us. My friends and I have volunteered together, taken classes together and tried new hobbies. When our kids were small, it was harder to carve out time for these activities. True friends are one of life’s greatest gifts. Since my kids have left the house, we have set out on quite a few adventures— I suggest you create your own as well. My favorite memory we have made so far was our cruise to Alaska. This was our first big trip since both of our kids got married last year. 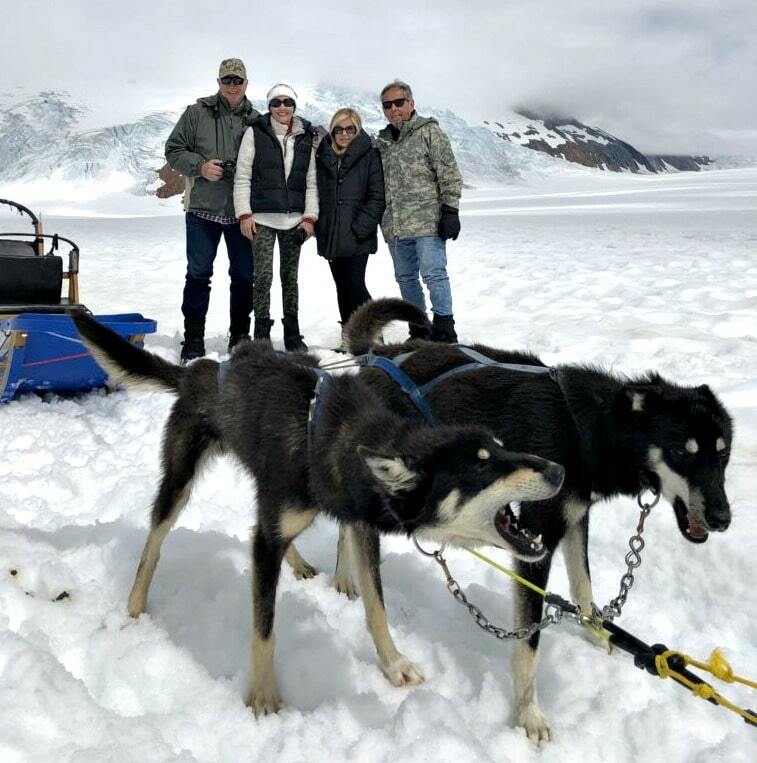 We went dog sledding on a glacier with my sister-in-law and brother-in-law. It was amazing! We discovered that we love cruising. It was wonderful to wake up each day in a new port. 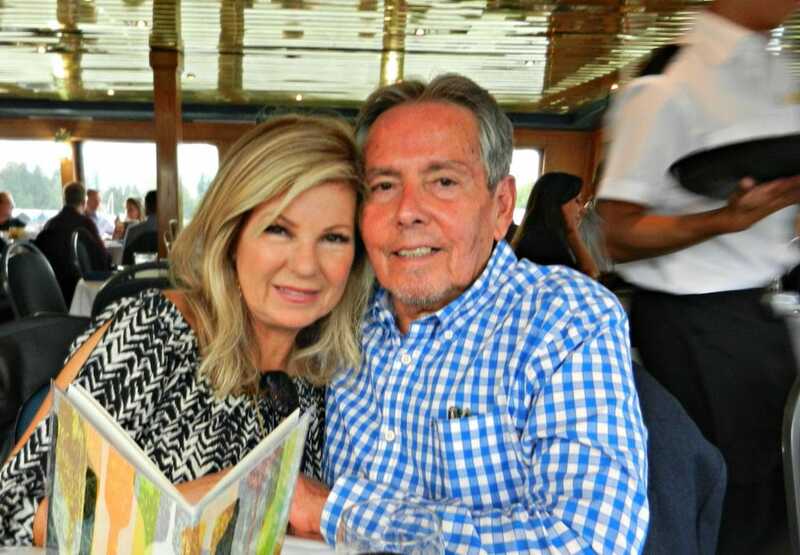 It is a great way to travel with others too because there is so much to do on the ship and in the ports that you can have as much together or alone time as you want. Plan Things to Look Forward to! We put a deposit down on another cruise for next spring. Now we can vacation when we want to and not when the kids are on vacation. The cost of the cruise is less in the spring and the destination will be less crowded too. Having something to look forward to helps with motivation to take care of yourself. As we age, it is incredibly important for us to take our health seriously. We need to get regular physicals and exams and make sure our doctors know our health history. If anything is out of the ordinary, we need to get it checked. We cannot take our health for granted. Nudge your partner to do the same. I admit that after looking after the health of my children for so many years, it felt strange to only focus on my husband and myself. Maintaining our health also includes our eyes. One of the realities of aging is that our eyesight often declines. I know that mine has. I have readers stashed everywhere. Are you retired or retiring soon? Through my research, I learned Traditional Medicare does not include vision. Until recently, there were very few – if any— options for individuals to ensure their own vision care. And taking care of your sight is so important to our quality of life as we get older! 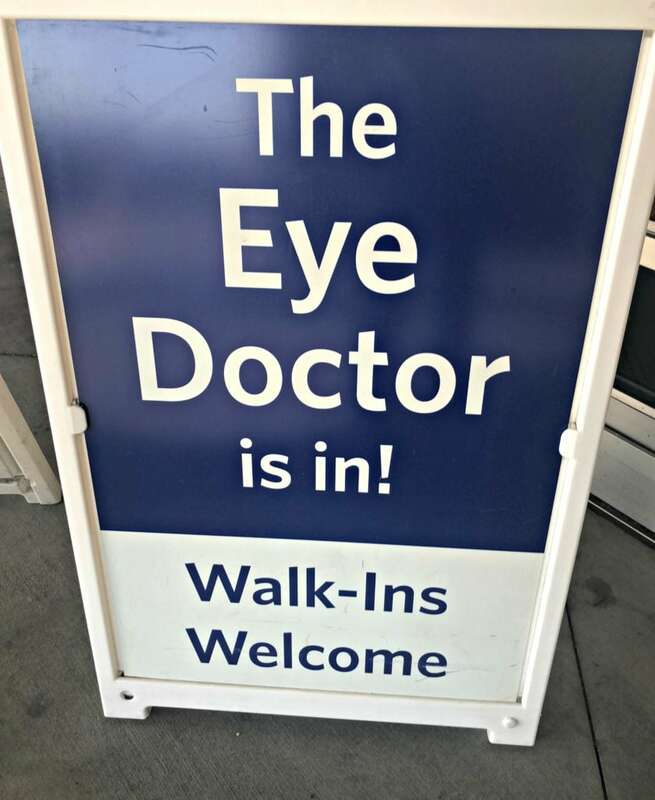 If you don’t have vision insurance, it’s simple to get and reassuring to have. If you are retiring, learn how to keep your vision coverage and your doctor too. VSP Individual Vision Plans offer affordable individual vision insurance. Individual Vision Plans start as low as $13 a month and provide an average savings of more than $200 a year. VSP is the national leader in eye care benefits and VSP Individual Vision Plans offer affordable vision insurance to people who do not have employer-provided vision care. VSP serves one in four people in the U.S. and members give the company a 95 percent overall satisfaction rating! What does a VSP Individual Vision Plan include? Now is your time to enjoy who you are in this new phase of life. Try something new or revisit something you’ve always loved. As a full-time blogger, I am traveling and meeting new people and constantly pushing myself out of my comfort zone. Most of the time, I am networking with much younger people and it is so good for me. Working at home can be an isolating endeavor, and attending conferences is the best way I have found to grow and learn. 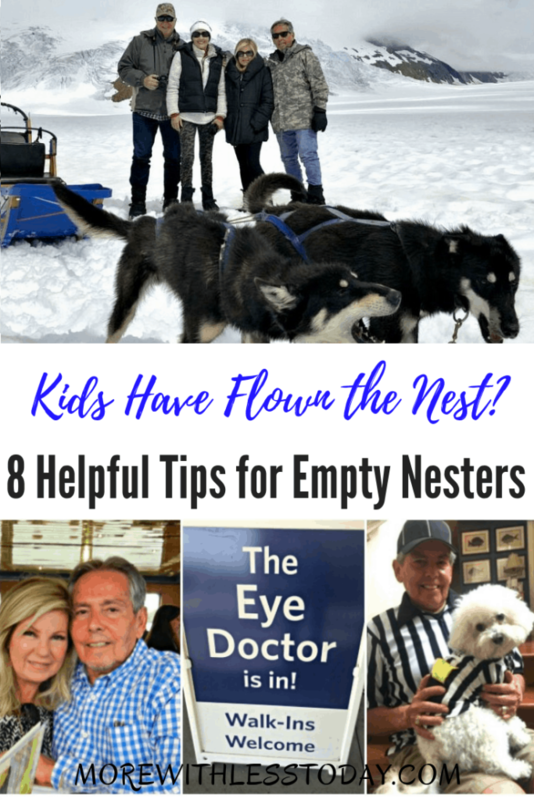 I hope these empty nest tips give you a few ideas. This is a wonderful opportunity – take advantage of it and embrace the journey! Need more information or tips on how to start planning for retirement? Click here for a helpful retirement resource guide from VSP Individual Vision Plans. This is a sponsored post written by me on behalf of VSP Individual Vision Plans.